1. What are your five highest priority/core values as an individual standing to become an MP? 2. What are the five highest priority/core values for your political party? 3. What are the five highest priority/core values you would like to see present in UK society? We stress that this is a non-partisan enquiry. However we do intend to share what we learn in response to our questions as general findings, not highlighting individual responses but showing results by political party. We will also share response rates and possibly present these as a regional breakdown. Your support for this campaign will be greatly appreciated. 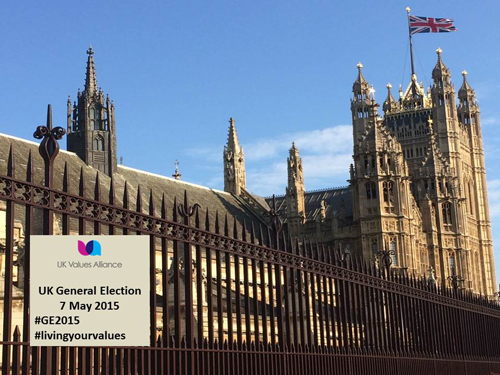 Let’s find out the values that are driving our potential MPs to make the UK a better place to live. This entry was published on April 10, 2015 / Joy Rees. Posted in News. Bookmark the permalink.